"ROOTS & ROUTES Follow-up" was an action-research project addressing non-formal and informal learning in artistic contexts in Europe. It explored the current status of validation of informal and non-formal learning outcomes in this field, and worked on a model for the assessment of artistic skills in music, dance and media. Methodologies included peer coaching and the use of digital portfolios for the evaluation of specifically artistic competence sets. 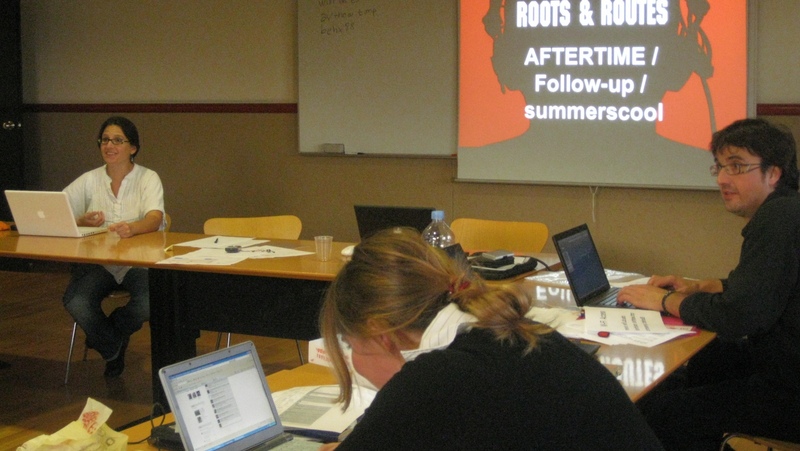 “ROOTS & ROUTES Summercourses”, the second ever project of the international ROOTS & ROUTES network that was running from 2006 to 2008. “ROOTS & ROUTES Follow-up” further developed training modules, follow-up and assessment methods, necessary competencies, and certification criteria in the field of the performing arts, on transnational level. With “ROOTS & ROUTES Follow-up”, the outcomes of the ROOTS & ROUTES Summercourses project (that included only partners from north-western Europe) was adapted to different socio-cultural contexts in southern and eastern Europe, and enhanced based on the experiences and outcomes achieved. In four countries, national training courses took place where motivated talents followed training modules in diverse new music and dance languages, theory and practice of the entertainment business and audio-visual media technique. The talents also performed on national festivals and stages.